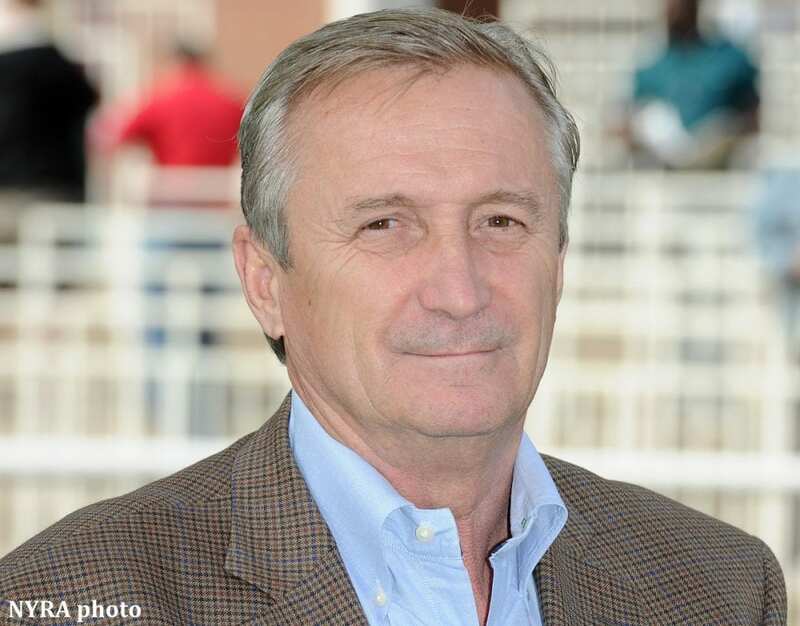 Trainer Rick Violette Jr., who retired in 2017 after 10 years as President of the New York Thoroughbred Horsemen's Association and more than 25 years as a member of the NYTHA Board, passed away this morning at his home in Delray Beach, Florida, after a battle with lung cancer. He was 65. Violette was born January 30, 1953 in Worchester, Massachusetts and showed hunters and jumpers as a teenager. After his graduation from Lowell University, Violette turned his attention to the racetrack and, at age 24, began training thoroughbreds full-time. He saddled his first starter on June 25, 1977 at Suffolk Downs in East Boston, Massachusetts. His first win came less than two months later with Catch the Action on August 18 at Rockingham in New Hampshire. Following his training start, Violette worked as an assistant to Emile Allain at Woodbine Racetrack in Ontario, Canada, before moving to New York as David Whiteley's assistant trainer. He resumed his own stable in 1983. Violette's support of the New York breeding program was no more evident than in the litany of talented New York-breds he sent postward over the years, including multiple graded stakes winners Read the Footnotes, Samraat, and two-time New York-bred champion Upstart. Most recently, Violette campaigned Lauren and Ralph M. Evans' New York-bred Diversify to victory in the 2017 Grade 1 Jockey Club Gold Cup, as well as the Grade 2 Suburban and Grade 1 Whitney this summer. Through three seasons of racing, Diversify has garnered nearly $2 million in earnings with 10 wins from 16 starts. Additional Grade 1 winners for Violette include Kentucky-bred Dream Rush and the Florida-bred Man From Wicklow, who Violette also owned. Through his nearly four-decade-long career, Violette recorded 870 wins and total purse earnings of $44,521,759. His final winner was Byself in an allowance optional claiming race on Sunday, October 14 at Belmont Park. Violette found perhaps his greatest passion, however, advocating for issues affecting horsemen and backstretch workers and the advancement of thoroughbred aftercare. “There aren't enough words to adequately describe Rick's contributions to the racing industry. Simply put, he was a giant of our industry and a consequential force, both in New York racing and the industry as a whole. Horsemen's leaders are oft criticized. Rick was beloved. “There is not a segment of our industry that has not been impacted by Rick's work. He was consumed with the best interests of New York racing and the racing industry. He was a force behind the creation of the THA. He was, perhaps, the most consequential figure in New York racing over the past 20 years. He fought for the best interests of horsemen, backstretch workers, the health and viability of NYRA, the health and welfare of the horse, the integrity of racing and the care of our horses after their racing careers ended. He was instrumental in getting workers compensation coverage for jockeys. He protected winter racing at Aqueduct. He led reforms in racehorse safety and medication management of horses. He did not have a peer. He was tough, opinionated and determined. He was also a man of class and a gentleman. He was always a good interview for the media. He was beloved by everyone. Besides being a great leader off the track, he was also a damned good and respected horseman, who thankfully was enjoying the greatest success of his career before illness took him down. This entry was posted in NL Article, People and tagged aftercare, Andy Belfiore, BEST, cancer, joe appelbaum, New York Thoroughbred Horsemen's Association, nyra, nytb, NYTHA, Rick Violette, rtca, Take 2, Take The Lead, tha, thoroughbred aftercare association, VLT by Press Release. Bookmark the permalink.